Looks like there’s been a security breach at the White House. Some douchebag with a backpack scaled the fence on the south grounds before being arrested by the Secret Service. I respect the Secret Service, but Dan Bongino is right about this, they aren’t taking this seriously enough. Trump has already had people rush him in Ohio and Nevada. Now this. I assume there is video surveillance on the White House fence and as far as I know, we have a snipers on the roof to take out threats. That intruder should never have gotten that far. I’m told that the snipers are there for show, so what’s the point then? Shouldn’t we be getting serious about this? There should be an armed patrol on that fence as far as I’m concerned and frankly, someone should be monitoring security there much more closely. It turns out there was nothing dangerous in the guy’s backpack, but it could have been a very different scenario. What if that guy had a bomb in that pack or something even worse? He got almost to the residence entrance. When is lethal deterrence called for? Security at the White House needs a severe review… they are still operating under Obama’s rules of non-engagement and that is a deadly mistake. A person climbed a White House fence Friday night and gained access to the complex’s south grounds before being arrested, the Secret Service said Saturday, shortly after noon. The incident occurred at about 11:38 p.m. Friday while President Trump was at the White House, officials told Fox News. 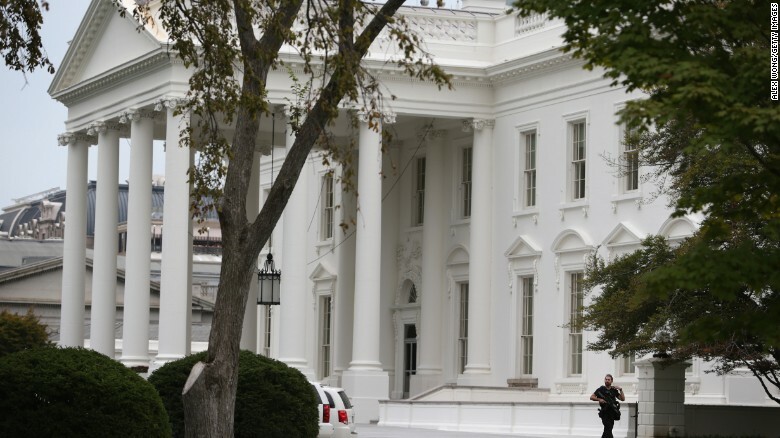 The Secret Service also said the unidentified person scaled an outer-perimeter fence on the White House complex’s southeast side, near the Treasury Building, and was arrested without further incident by an officer in the agency’s Uniformed Division. The intruder was carrying a backpack and purportedly got close to the White House’s south portico residence entrance, near the Washington Monument. No hazardous material was found inside the backpack, and a subsequent search of the complex grounds resulted in “nothing of concern to security operations,” the Secret Service said. The agency also said the person has no “previous history” with the agency. Trump told reporters Saturday afternoon that he appreciates the Secret Service efforts and that the accused is disturbed. The incident was reported first by CNN. Boy, I hope that wasn’t a dry run. The White House should be the most secure place in this nation and we treat it like it’s a park open to the public… anyone can come in. There should be signs on the fence that if you scale it, you will be shot. I’m sorry, but this is the world we live in now. The President must be protected at all costs. Obviously, the guy is mentally unstable. But I have to wonder how he got as far as he did before anyone even noticed. Unbelievable.